Bringing community together through great (street) food. Welcome to the Seattle Street Food Festival hosted in South Lake Union that now stitches over five city blocks welcoming over 100,000+ attendees over the two days. 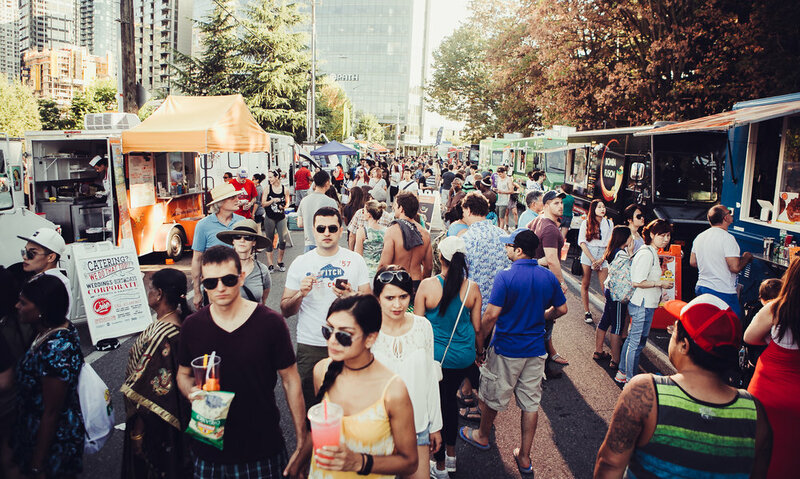 Organized by the Mobile Food Rodeo, we produce some of Seattle's favorite food festivals curbside helping serve as incubator and launch pad for chef-preneurs. In 2017, our popular family of festivals attracted over 500,000 hungry attendees and garnered over $3.5 million in gross sales supporting our participating small businesses. Our festivals has featured in over 200 publications nationwide and selected as “One of the Top Summer Food Destinations” from Bloomberg Businessweek, Eater, Seattle Met Magazine, Food Republic and Tasting Table. After all, we live here - we know our audience and what’s happening in our great city! We offer small business the perfect portal right into the hearts and tummies of local audiences all year long.